By Karrar Haider in Mobile. Updated on November 1, 2017 . Appearing from shadows, eliminating the target in split second, and dispersing back into shadows is a ninja fantasy almost everyone would like to live. However, most probably you are not going to become an apprentice of a shinobi master anytime soon. 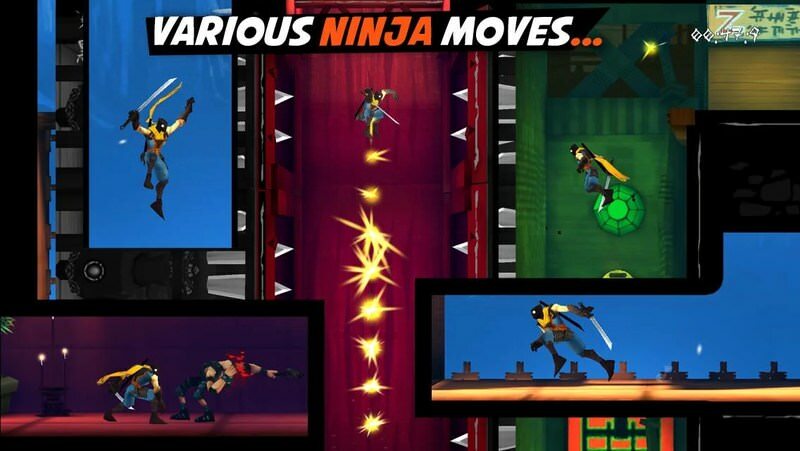 But you can still live your ninja fantasy by playing some deadly ninja games on your Android phone. 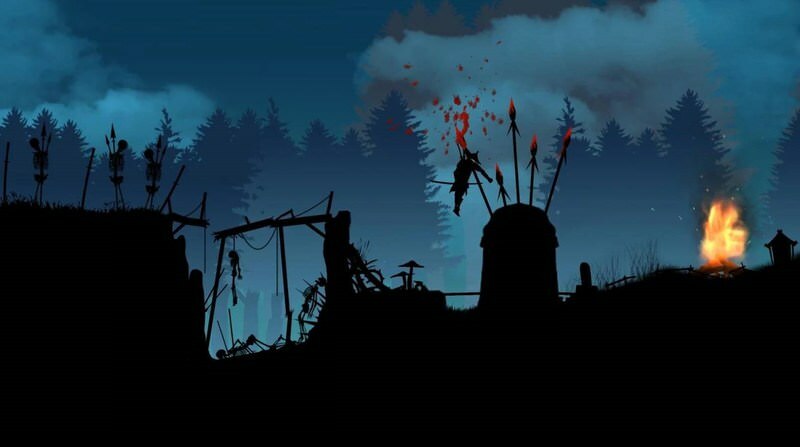 If you are into blood soaking ninja games, then I know some of the most addictive games for Android with stunning ninja graphics. 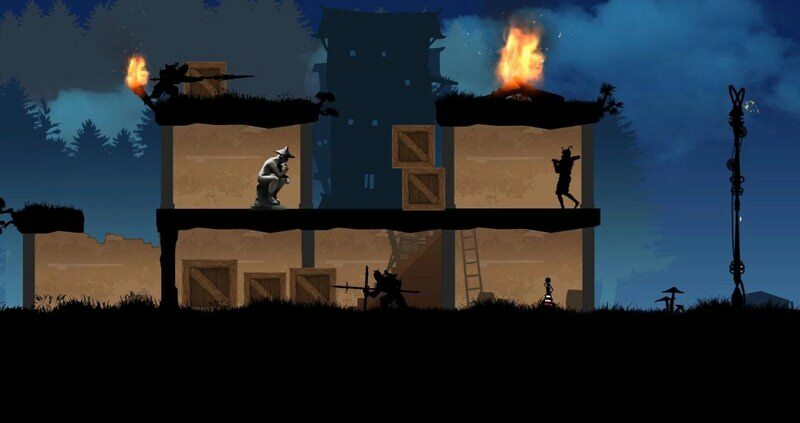 Let’s see which one of these 10 ninja games for Android can please your hunger for ninja action. 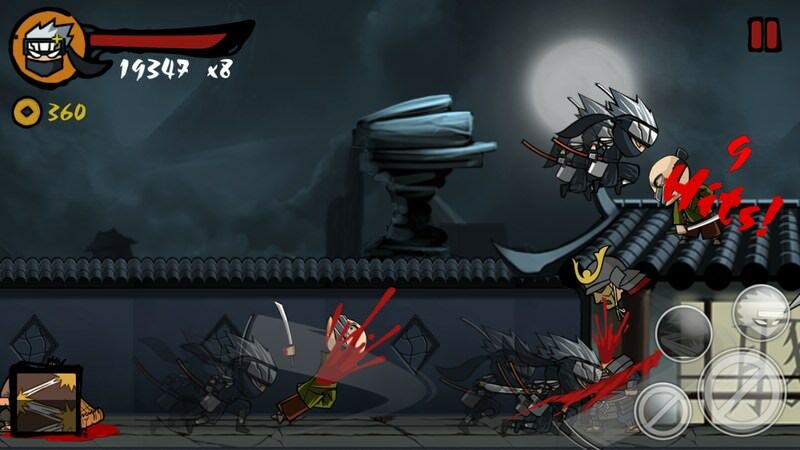 Blood, multi-combos, katana slashing, and more blood is what you will get in this fast paced ninja game. 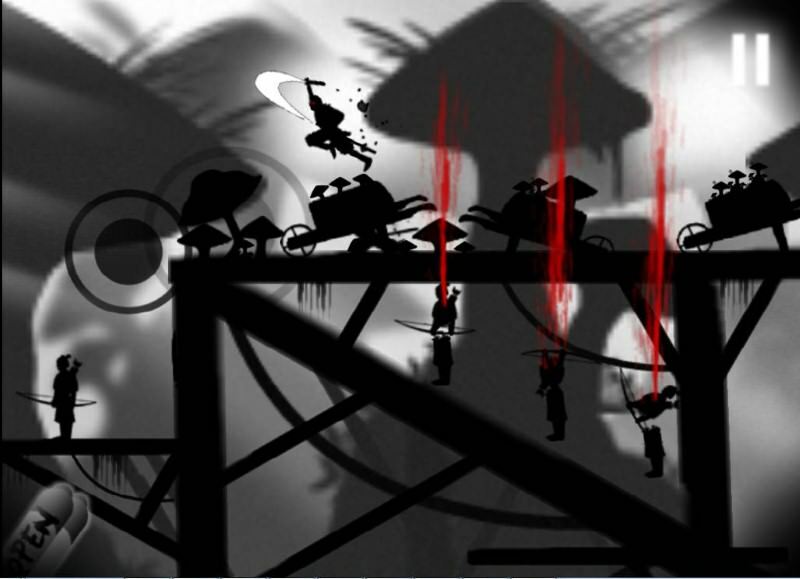 The game is about an angry ninja who is on a spree to avenge the death of his wife. 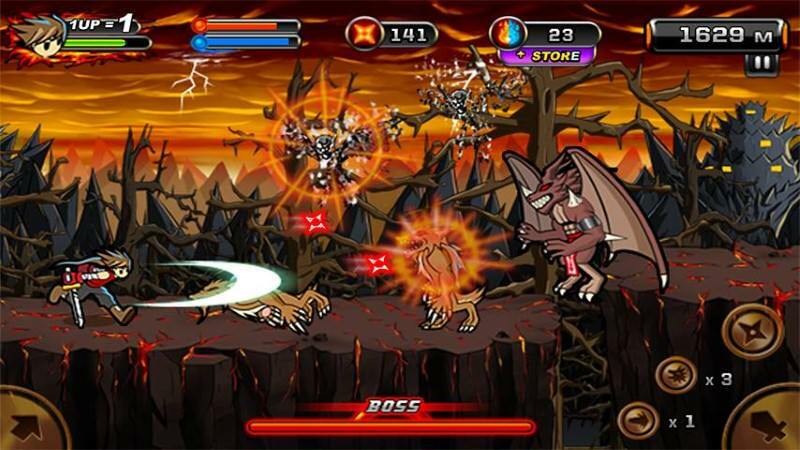 The side scrolling game has good graphics with cool damage and death animations. You can use cooldown based abilities, power-ups and basic slashing to eliminate your enemies. I really love how you are bombarded with different types of enemies in this game, allowing you to do multi-hit combos of up to 50 hits with ease. Best of all, the game has great humor alongside tons of violence, making it a great refresher when you need some fun entertainment. Shadow Fight 2 isn’t actually a ninja-focused game in ture sense, but it uses a lot of ninja tactics with a bunch of ninja characters as well. 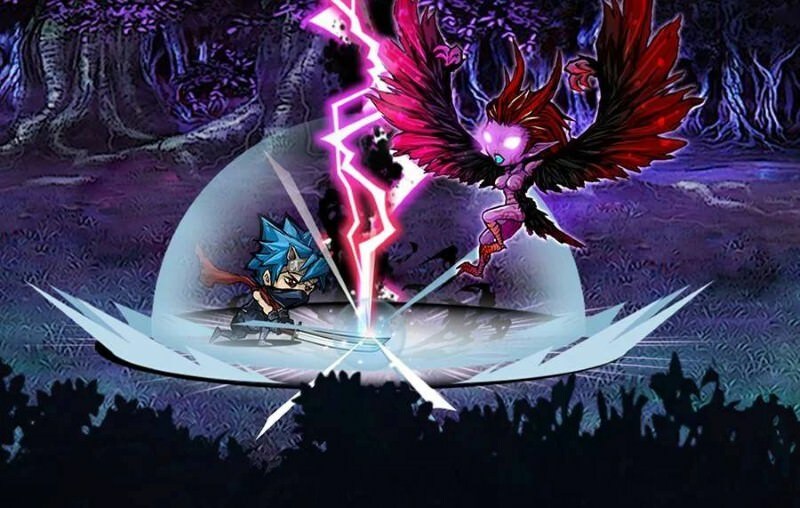 It’s a good ol’ 1 VS. 1 fighting game with a touch of RPG-style character building. 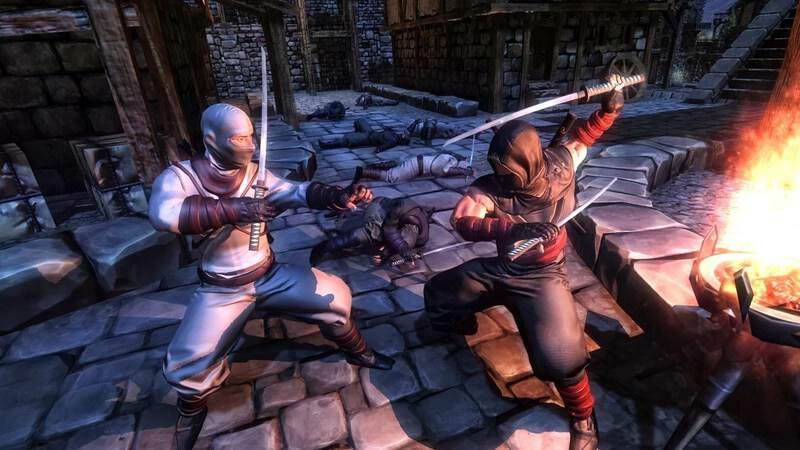 What makes it cool is its life-like animations that make you feel like you are actually hitting or dodging the enemy. The punches and kicks don’t just hit as you press the button, there is life-like delay and animation between each move that also lets the enemy (or you) dodge, hit back, block and more. You can unlock amazing weapons, armors, and magic powers to use in battles. I should clarify that Shadow Fight 2 requires skill to play. You actually need to block, dodge, jump and hit to be able to defeat your enemy. It’s not just another fighting game where the one with more power wins the match. Another game with tons of violence and blood. If you like challenging games that require proper strategy to complete, then Ninja Arashi will please you. The game is a combination of deadly fighting and strategic traps to fulfill your both desire for action and mind-boggling challenges. 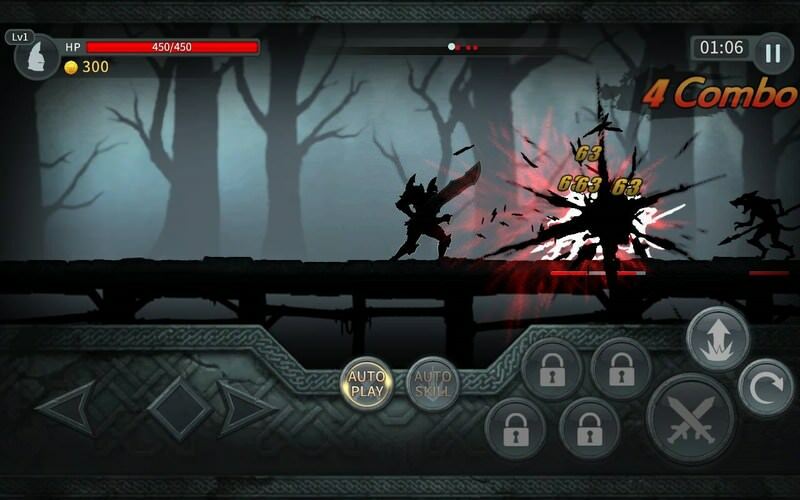 You need to complete levels by evading killer traps and killing enemies using different moves and weapons. You can power up the character’s skills, boost moves, and buy weapons like swords, axes and even a gun. 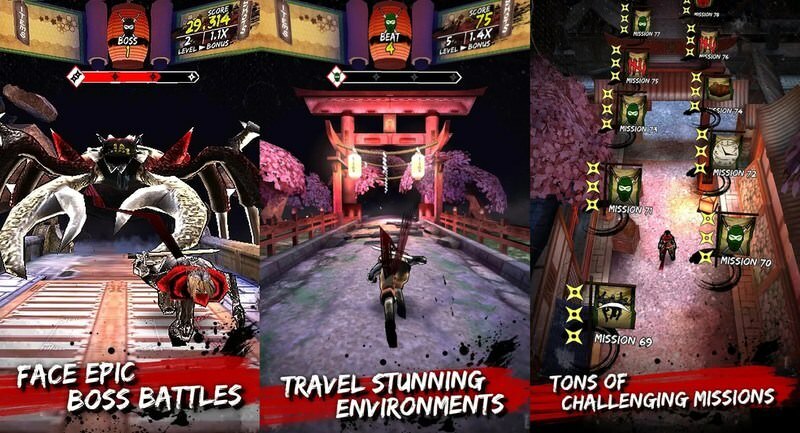 If you like the kind of games where you press all the buttons to kill your enemies, then Devil Ninja 2 will give you a good time. 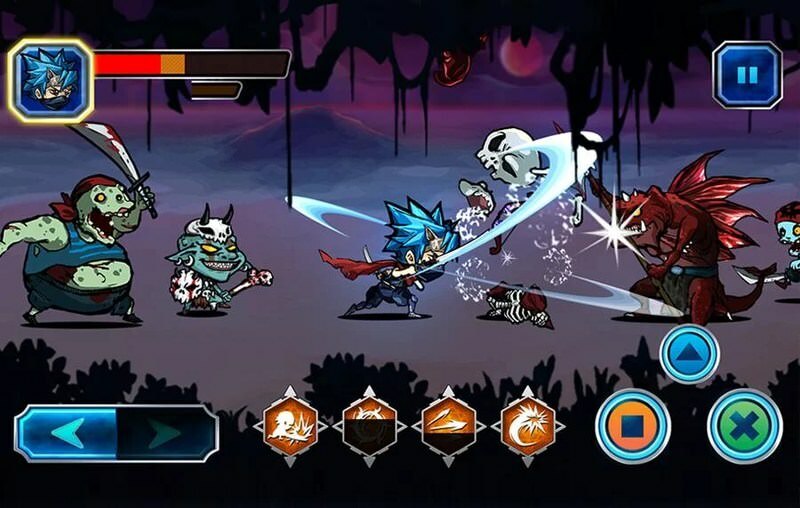 In this side scrolling game, you will have to use different moves and weapons to destroy streams of monsters and bring utter chaos. The graphics are a bit childish, which is a good thing for a game that is easier to play. You will have to collect energy balls on your way to buy new weapons and become stronger. There are hundreds of weapons and powerups for you to feed your appetite. Best of all, the game doesn’t offer any in-app purchases so it will not force you to shell out money to get your favorite item. 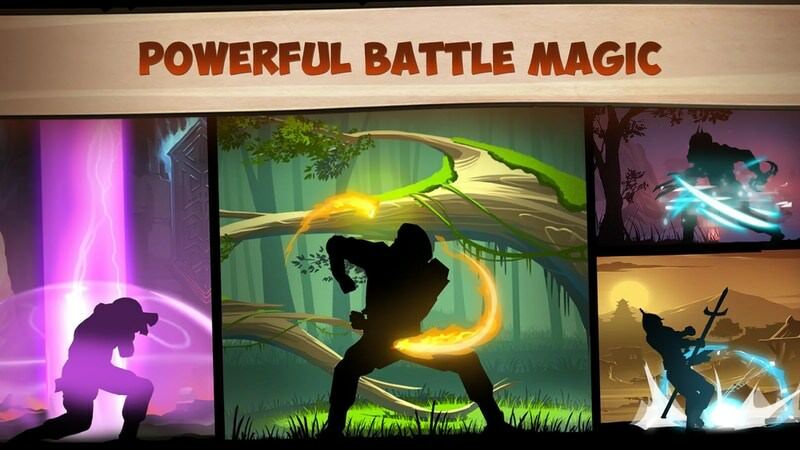 Another bash-all-the-buttons-to-kill game, Ninja fight is a fast paced side scrolling game where you can choose multiple ninjas to clear the stages. Each character has a different set of skills and strengths that you can use to destroy the enemy. Interestingly, characters have different style basic attacks alongside cooldown based abilities, allowing you to do insane combos using different styles. You can also get different costumes and weapons to strengthen your character and make it look cool, with each character having its own set of weapons and costumes. The graphics are quite good as well, with not too much blood and violence. As the name suggests, Dark Sword is all about using crazy looking swords where swords are probably bigger than the wielder. The game is themed on complete darkness where you kill dark monsters using really scary looking swords (that can be colorful as well). 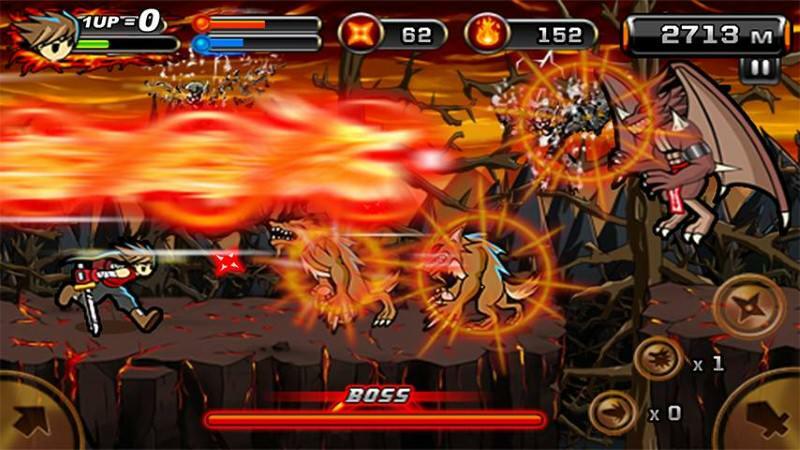 You can use multiple abilities and basic moves to kill waves of monsters. The abilities are unlocked as you progress and can be upgraded for more damage. However, swords are the real reason why you wanna play this game and buying the best weapon is the best way to be stronger. 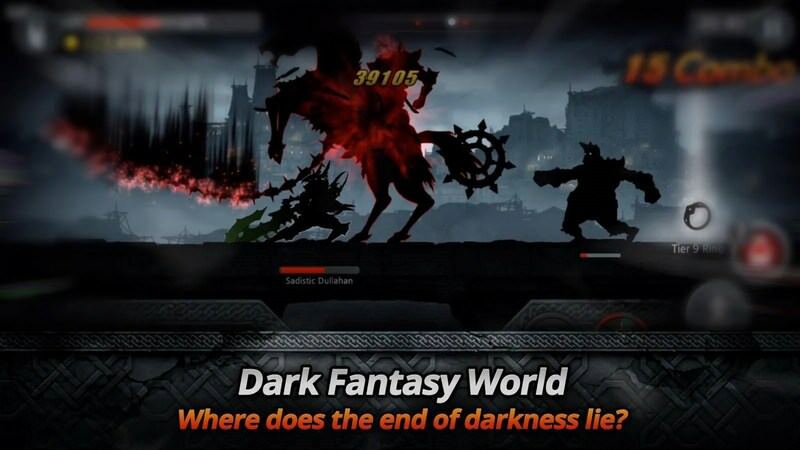 Dark Sword also has a PVP mode where you can fight other players around the world. A nice game that does a great job of blending stealth and bloody action. 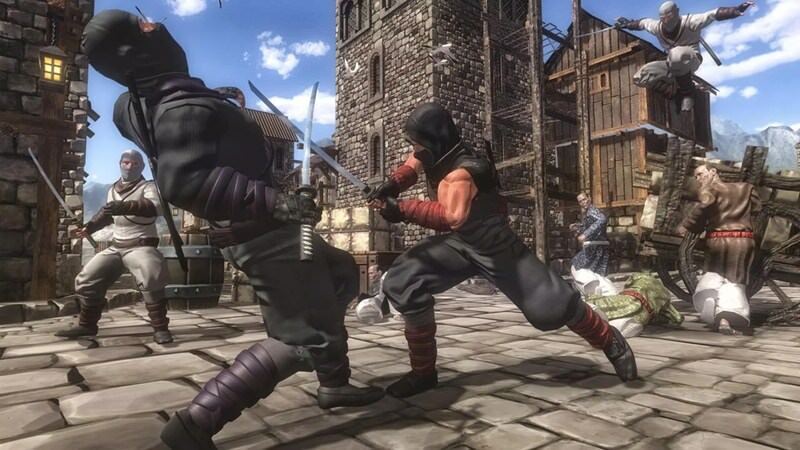 Following true nature of a ninja, in Shadow Blade Zero you will have two options to clear levels, by stealthily moving past enemies or simply assassinating every enemy in your way, the choice is yours. 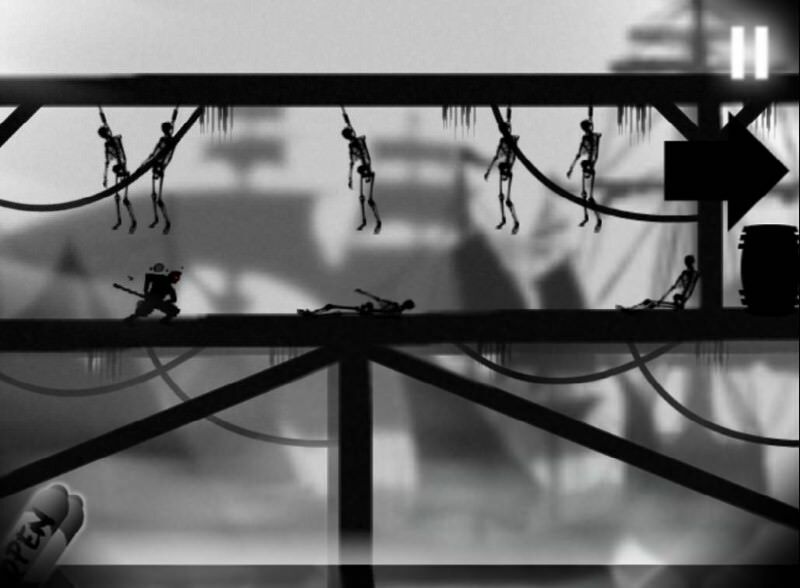 The levels are filled with deadly traps and your character has awesome moves to move around locations. You can get different types of weapons to kill your enemies, and jump and flip over walls and structures to clear the levels. Overall, it’s a nice game that fulfills ninja fantasy perfectly. I am not going to say it is one of the best ninja games available, but it has an interesting plot and the 3D action is quite good as well. You are a ninja who is against the city’s thugs and gangsters who have kidnapped people. You need to stealthily roam around the city and kill or bypass enemies to investigate. The environment is nice and you can do tasks like climbing, boating, and jumping, etc. to move around. The action isn’t too exciting, but you can use different weapons such as swords and guns. Not one of the most exciting titles, but definitely worth a look if you are into calm assassinations. An extremely fast paced game that is very difficult yet quite fun to play. 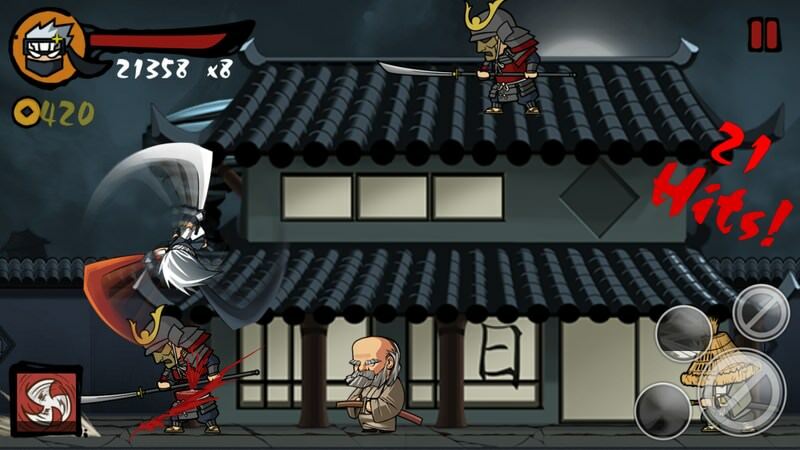 It’s a side-scrolling game where you control a ninja who is continuously running. You need to tap everywhere to guide him and kill enemies in your path. There are traps and groups of enemies that you need to evade and kill. You can get different types of abilities to make it easier to clear levels, such as quickly teleport out of a thick situation or create multiple clones of yourself. Everything is in shadow so it can be a bit difficult to see enemies and traps on a black background. Most probably, you’ll die at least a dozen time before you memorize each level and complete it. Are you up for the challenge? This is a fast paced 3D running game where you run and fight at the same time (think Temple Run on steroids). There are multiple characters having their own set of abilities and weapons to kill the enemies in the path and move around. The game has good graphics and killing, jumping, and dodging animations are quite good as well. You can collect different weapons in the stages to eliminate your enemy and kill the bosses at the end of the stage. I must say the environments are really cool and will surely give you the feel of being on an assassination spree in the middle of Japan. 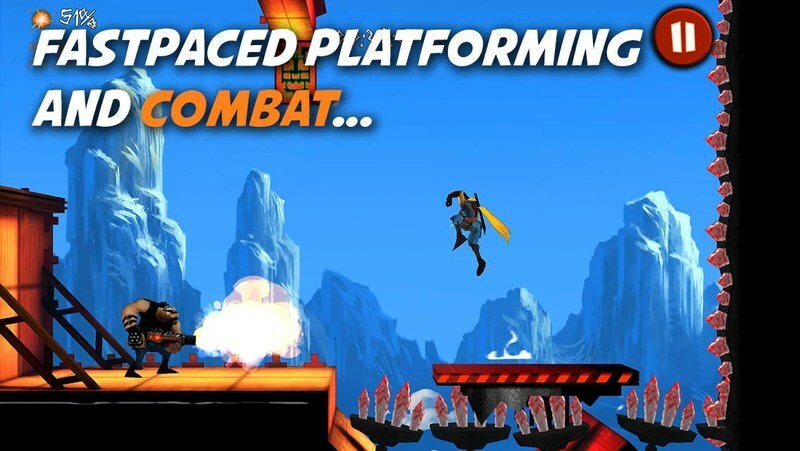 These were some of the deadly ninja games you can get on your Android phone. Most of these games involve a lot of violence, so you better be careful before trying them (or at least be old enough). 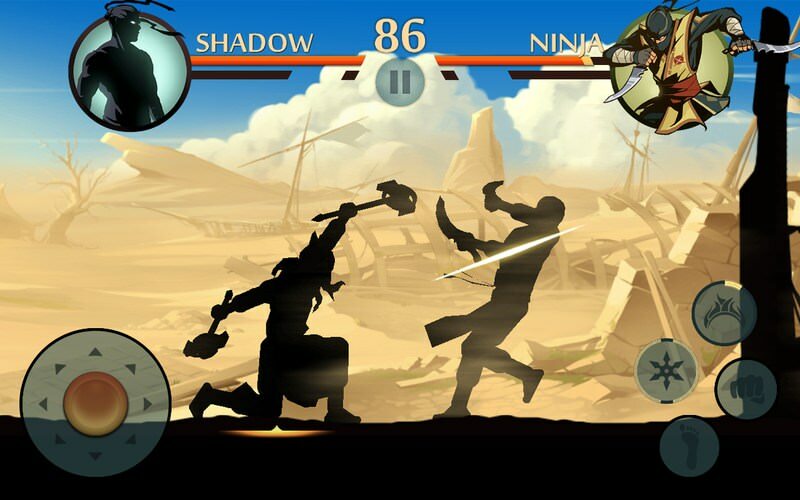 My favorite games are Shadow Fighter 2 and Dark Sword, which one of these ninja games for Android you like?